Acupuncture in Portland & Naturopathic Medicine. Acupuncture treatment facilitates natural healing and helps alleviate morning sickness during pregnancy. 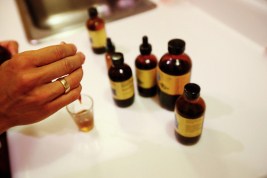 Naturopaths are primary care physicians trained in four year accredited medical programs. They can prescribe conventional pharmaceutical medications (antibiotics, pain medications, blood and heart medications, psychological medications, etc.) as well as order MRIs, x-rays, CT scans and blood labs. Naturopaths have additional training in nutrition, homeopathy, botanical medicine, minor surgery, pharmacology, and physical medicine. The hallmark of Naturopathy is the focus on treating the whole person in a way that is congruous to the person’s needs and abilities. In our clinic we have a full herbal and nutritional medicinary as well as the ability to perform throat cultures, urine tests, blood draws and IVs.